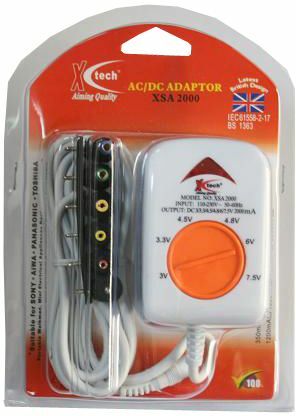 X Tech 13A switching adaptor 6 Ways Individual plug including mini cassette (2000mA) with indicator in blister packing. No thrills. Good for electronic workshop. Does what was intended to do.